Gallery fans will be inundated with a sparkling collection of jewelry, glass, pottery and artworks with a visit to the prestigious Handscapes Gallery. Located in the heart of Beaufort, this charming collection of works from regionally and nationally-acclaimed artists is sure to thrill art lovers and everyday explorers alike, with everything from glittering gems to modern paintings fully represented. 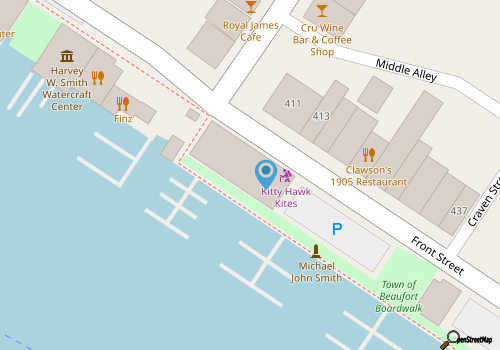 Handscapes Gallery is easy to find, and is located in a waterfront shopping center in the heart of the downtown area. Effortless to access for Beaufort visitors who are strolling along the waterfront, the small interior is artfully organized with a treasure trove of one-of-a-kind fare. Shoppers will find rows of bright glass cases that feature unique pieces of jewelry, as well as built-in shelves that are stocked with pottery pieces, glass wares, and other small tokens that serve as an exceptional souvenir. A distinct coastal influence is evident throughout the gallery, and patrons can call on the help of the friendly staff to learn the backstory of all the artists represented. With lots of treasures to discover, which can range from home décor items and tools, to purses and apparel, art fans of all styles will be in heaven at this chic little gallery that pays homage to its stellar waterfront locale. Call (252) 728-6805 for current hours.